Biotech Bonanza: A Key Piece Falls In Place! As we begin September, biotechnology stocks are poised to deliver further gains and the sector remains one of the best-performing ones for 2017. The biotech sector closed August on a strong note, the last-week rapid rise triggered by a major acquisition. The benchmark Nasdaq Biotechnology Index, as represented by ETF (IBB), has gained a solid +26% for the year as of the end of last month, but remains down -17% from its all time high recorded in 2015. This compares to the Nasdaq (QQQ), S&P 500 (SPY) and small cap Russell 2000 (IWM) gains for the same period of +10%, +19%, and +4%, respectively. "...an expected business-friendly health care policy and more efficient FDA drug approval processes have set the stage for higher biotech valuations for the remainder of the year. This is a transformative change for the biotechnology sector..."
The sector appears to be living up to the higher expectations. A shrinking risk appetite for speculative stocks, as suggested by the underperformance of small cap stocks, has not affected Biotechs. The sector was quick to overcome the recent August pullback and was the first one to go past highs recorded in July, ahead of even the leading index Nasdaq, whose performance has been dominated by super large-caps like Apple (AAPL), Facebook (FB), Google (GOOGL), Amazon (AMZN), and Microsoft (MSFT). The biotechnology news flow has been highly positive over the past few months. Approval of groundbreaking gene editing treatments has put the spotlight on the industry's innovation and life-saving work, shifting the focus for now away from the vitriolic high drug price debate. "We’re entering a new frontier in medical innovation with the ability to reprogram a patient’s own cells to attack a deadly cancer. New technologies such as gene and cell therapies hold out the potential to transform medicine and create an inflection point in our ability to treat and even cure many intractable illnesses. At the FDA, we’re committed to helping expedite the development and review of groundbreaking treatments that have the potential to be life-saving." The comments recognized the beginning of a transformative era for biotech as gene editing takes the first steps to becoming mainstream in the years ahead. 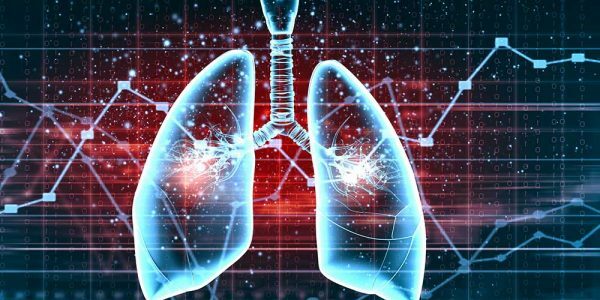 Earlier in July, Vertex Pharmaceuticals (VRTX) had disclosed impressive data on its Phase 1 and 2 trials, which if replicated in Phase 3 can provide relief to 90% of the cystic fibrosis patient population. Achievements of such key transformative milestones continue to assist the biotech sentiment. Success in innovative new treatments, rising drug approvals, and M&A activity is raising investor confidence and expanding valuations. A near term biotech event is the annual conference of the European Society for Medical Oncology (ESMO), similar to ASCO in the US, from September 8 to 12 in Madrid, Spain, which will witness a number of pharmaceutical and biotech company data presentations. In addition, September is a busy month for Phase III readouts and investor conferences. All these events can further enhance investor sentiment. Gilead Sciences (GILD) finally made a move, and it was a $12-billion move. The biotech giant acquired Kite Pharmaceuticals (KITE) and set off a rally in biotech stocks as investors anticipated more acquisition activity. Gilead acquired a futuristic oncology cellular therapy platform along with Axicel, Kite's leading drug treatment for blood cancer, which is expected to be approved later this year. This is the largest biotech deal since Medivation's acquisition by Pfizer (PFE), exactly a year ago in August 2016. While Pfizer has refrained from further acquisitions citing lack of clarity on tax policy, Gilead Sciences CEO John Milligan has consistently maintained during the earning calls that business reasons dictate acquisitions, and lack of policy clarity is something that the industry is accustomed to. Perhaps this transformative deal which changes the competitive dynamics will exert pressure on the industry and provide a jolt to sluggish deal-making this year, particularly in light of uncertainty around the timing of tax reform. Even Gilead noted in its recent press release that it continues to look for further business development opportunities. Biotech stocks are already responding to the blockbuster acquisition with other CAR-T therapy companies Bluebird (BLUE), Juno (JUNO) and Cellectis SA (CLLS), moving higher. At the same time, Cellectis highlighted the risks of CAR-T when it announced this week that FDA has stopped its trial due to a patient fatality. This highlights the potentially serious side effects, including cytokine release syndrome, which are associated with CAR-T. However, CAR-T is now developing into a prized area for oncology drug research as therapies begin reaching the market. 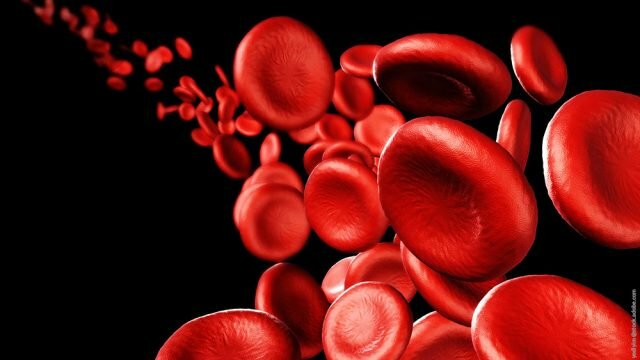 Takeda announced a deal this week with Japanese start-up Noile-Immune, which is focusing on extending the technology into solid tumors from its current deployment in blood or hematological cancers. Small cap and mid cap stocks represent the most favorable spot for acquisitions as the targets are relatively lower-priced, do not require tax policy clarity, and the cost of failure is lower. Many companies have indicated their interest in bolt-on acquisitions. Novartis CEO Joe Jimenez mentioned in July that the $2 to $5 billion is a sweet spot for the company but since valuations are high the company will look at smaller deals and earlier-stage assets. Incidentally CEO Jimenez will be resigning in February 2018 and giving the reins to Vas Narasimhan, the key architect of the Company's CAR-T treatment. Industry acquisitions have been a missing link this year and the Gilead acquisition takes a big step towards addressing it. Will the acquisition pace pick-up now remains hard to foretell. But things are finally looking better on that front than at any other time this year, and furthermore, it should be recognized that biotech valuation expansion is not just contingent on acquisitions. The FDA, which is a critical part of the administration's strategy to reduce drug prices, has been focused on streamlining and speeding-up the drug approval process as one of the ways to bring down costs. 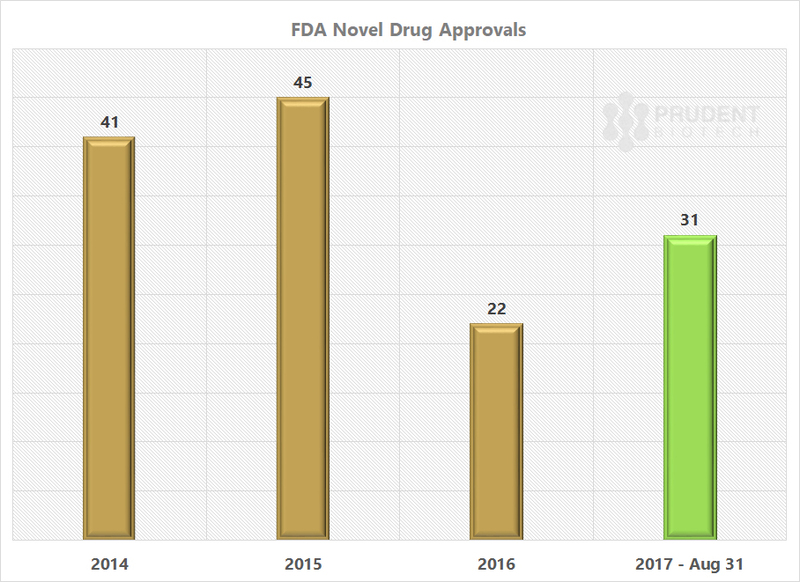 Novel drug approvals which were already running at a faster pace than last year appear to have picked up further pace since the appointment of Commissioner Gottlieb. Just over last 7 weeks, the agency has approved 7 new drugs. The FDA's approval of Novartis' CAR-T program, CTL019, is precedent-setting as the FDA approved an innovative new therapy with solid data, but untested in advanced and broad clinical trials. "...we are at the beginning of this new paradigm." The new clinical successes, new research platforms, and a faster drug approval process will create a secular wind ballooning the sails of the biotech sector for the upcoming years. While the biotech sector remains resilient, in our opinion the overall market is entering a period of elevated risk near-term due to factors relating to the quagmire in the pro-growth policy agenda of the administration, the upcoming debt ceiling negotiations, and very importantly Federal Reserve's monetary policy. This can potentially lead to enhanced volatility over the next two months. We wrote about this outlook in greater detail last month in the article A Partial Eclipse, But Not a Total One. A deferral of the Federal Reserve's remaining planned interest rate increase this year and meaningful progress on the tax reform or tax cut plan can offset the near-term risk and push the market to further new highs. Present conditions do not suggest that a bear market is likely anytime soon, as discussed in the article. We continue to believe that biotechnology has a secular tailwind for the near future, which will continue to expand valuations. The political environment, for now, seems to have settled around an anticipated Executive Order whose draft was released in early Summer and which turned out to be industry-friendly. This has allowed the Biotechs to begin reflecting the progress on the clinical front. We believe portfolio exposure to Biotechs is vital as it will remain a market outperforming sector in 2017, a prediction laid out in our Biotech Bonanza article at the end of 2016. We remain fully invested in our Prudent Biotech Portfolio, which is up 22% for 2017, and are overweight biotechs in the Graycell Small Cap Portfolio, which is up 36%, even though the possibility of enhanced volatility near term remains high. There are many promising companies that can be considered for a portfolio, and we have mentioned many in the past. Some of these, which may be now or in the past part of the model portfolio, include Exact Sciences (NASDAQ:EXAS), Celgene (NASDAQ:CELG), Exelis (EXEL), Puma Biotechnology (PBYI), Acadia Pharmaceuticals (ACAD), Bluebird (NASDAQ:BLUE), Aeri Pharmaceuticals (NASDAQ:AERI), Novocure (NASDAQ:NVCR), Foundation Medicine (NASDAQ:FMI), Dynavax (DVAX), Amicus Therapeutics (FOLD), Arena Pharmaceuticals (ARNA), Myokardia (MYOK), Esperion Therapeutics (ESPR), Akebia Therapeutics (NASDAQ:AKBA), Loxo Therapeutics (NASDAQ:LOXO), Portola Pharmaceuticals (PTLA), Sangamo Biosciences (SGMO), Gycomimetics (NASDAQ:GLYC), and Abeona Therapeutics (ABEO). In addition, portfolio exposure can also be acquired through biotech sector ETFs like IBB and S&P Biotech Index (XBI), including leveraged ETF (LABU). The article was submitted on September 06, 2017 on Seeking Alpha and can be read there as well in its entirety.